Thank you for your interest in our 160g Barron Crew Neck T-shirt. Please complete your details on the 'Quick Quote' form and click the Submit Button at the bottom of the page. 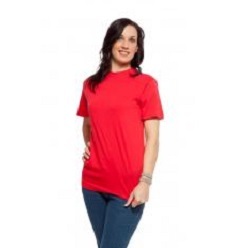 A customer service consultant will contact you about the 160g Barron Crew Neck T-shirt with a quotation. Double-needle on sleeve and bottom hems; Shoulder-to-shoulder seam taping for improved comfort and durability. Generous cut. Knitted using tip quality super carded yarns for superior fabric and feel. Softer finish of fabric provides a very good print platform. Quality yarns enhance colours and evenness of screen printing. 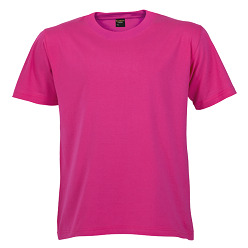 Available in seventeen colours; 160g; 100% super carded cotton single jersey fabric; Dyed with reactive dyes.